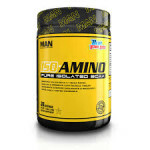 Buy one Nutrex Research Muscle Infusion Black (5LB) & get one free for $59.99 at A1Supplements. This is the best total price we could find by $28. 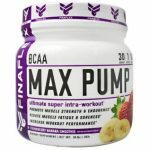 Buy 1 Finaflex Bcaa Max Pump- 30 serv, Get 1 FREE for $26.99 at A1Supplements. This is the best total price we saw by at least $21.